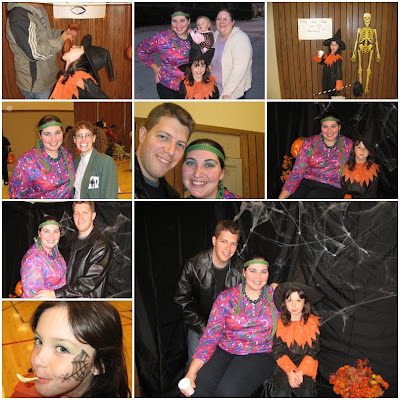 Friday night we went to our ward Halloween party. There was a trunk-or-treat in the parking lot, then carnival games, donuts, and cider inside. Rosie wore her witch costume, and I threw together an disco fashion victim ensemble in about 10 minutes before going out the door. In honor of Taylor’s last Saturday in Michigan, we decided to do some touristy Michigan things. 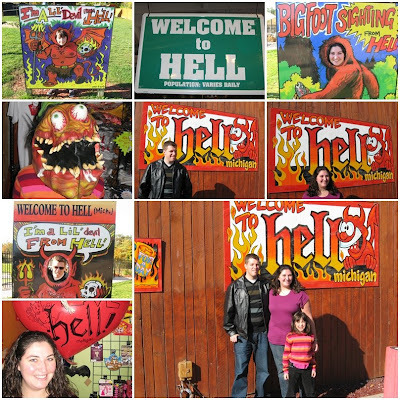 We went to pick out a pumpkin with Rosie, then drove to Hell. No seriously. Hell, Michigan. It’s an itty-bitty town with about 4 buildings. The building in the pictures is the Screams Ice Cream parlor. You can top your ice cream with many creepy toppings served directly out of a coffin. There’s all sorts of prank novelties, souvenir tees, and Halloween stuff…many priced conveniently at $6.66! 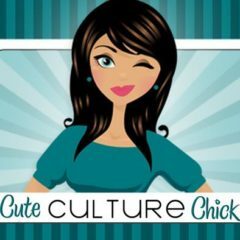 We then drove to Frankenmuth, Michigan’s little Bavaria (and big tourist trap). There’s a replica chapel like the one in Austria where “Silent Night” was performed the first time. 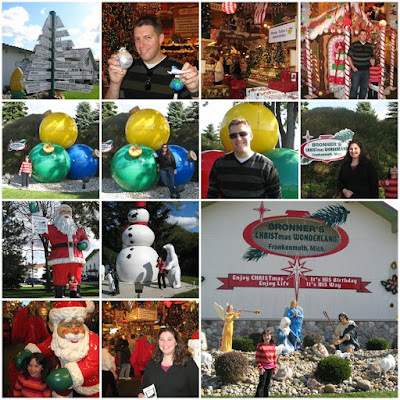 The main attraction is Bronner’s CHRISTmas Wonderland, the world’s biggest Christmas store. It’s like five Costco-sized buildings all in one, erupting with holiday cheer. Outside are many creches and nativities and Santa statues. We should have bought one of the “Pilot’s are just “PLANE” fun” ornaments. Next we decided that we wanted to see one of the Great Lakes, so we thought we’d drive up to Saginaw Bay. With a very inadequate map (on the back of the Christmas Store brochure) we drove up through one of the most depressed areas I’ve ever seen. Boarded-home after boarded-up home. Abandoned manufacturing plants. Post-urban decay. After getting lost for an hour between Saginaw and Bay City, we decided to just head back. We went to the Pearces’, our surrogate Michigan family, and watched Iron Man in their home theater. Overall, a great family day!